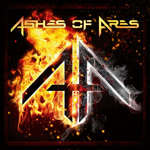 Ashes of Ares is a new heavy metal project by former Iced Earth members Matt Barlow on vocals and Freddie Vidales on guitar and bass, along with former Nevermore drummer, Van Williams. 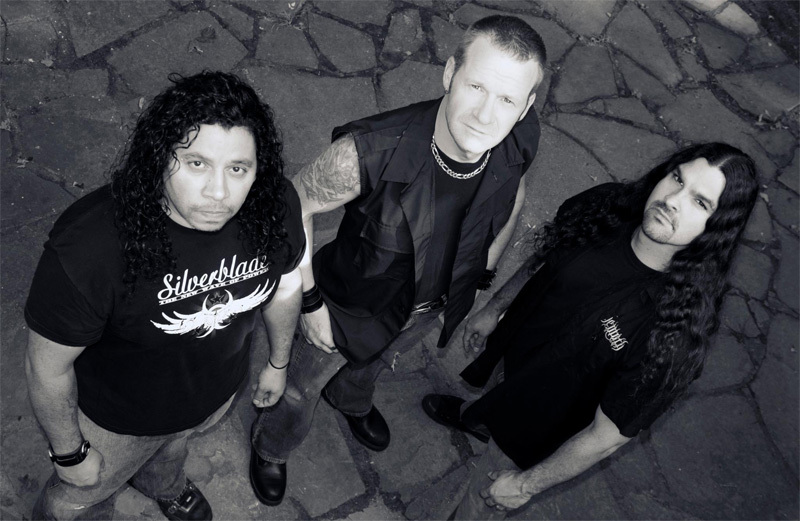 Putting their collective heads and experience together the trio has come up with platter of solid traditional heavy/power metal. Ashes of Ares: looking up. We haven't heard Matt Barlow on record since 2009 with an Iced Earth and Pyramaze. Honestly, I've forgotten how could this guy can be when he brings his A-game to the studio. As a metal singer his range of expression is quite significant, from basic melodic to whiskey rough to peaking out in screams. Sometimes two or three different styles will show up in one song like within The Messenger or Chalice of Man. Musically, your expectation can be an amalgamation of each members' history and heavy metal calling, possibly excepting Barlow's one off assignment with Pyramaze. This isn't quite progressive metal. No, it's basic bang your head American heavy power metal. Even throwing around the 'power' metal angle may be problematic. Much of the material is heavy, steady, with a more moderate pace, rather than the galloping course associated with power metal. Yet songs like On Warrior's Wings or The One Eyed King, by example, have moments where the tempo quickens. Largely, the AoA formula is simple: a strong and eager rhythm section as the foundation; crisp guitar lines from smooth to chunky riffage to a touch of acoustic guitar; and then, Barlow's varied vocal arrangements joining in. When comes together it works quite well, and becomes rather impressive, as with Punishment, Chalice of Man, The Messenger, and This Is My Hell. 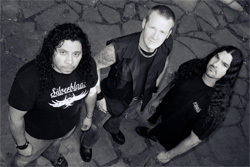 The wild card here, however, is The Answer, a soaring anthem which tones down the chunky heaviness found elsewhere for cooler melodic metal and another impressive Barlow vocal show. It's simply a great song. Ashes of Ares' debut album is a strong one, and finds the band poised to be a force in the realm of traditional heavy metal. Recommended.